I know you might not agree with the title. Or you might be skeptical and think: “Why would anyone write something like this?”. But this is something that needs to be addressed, because there’s too many Muslim Americans now a days, who are spending too much time being upset over the prejudice they face. And they need to know that we’ve actually received the lighter load when it comes to hate crime against people of other races and religion. If you look at the way people in the world have reacted previously to the threats and prominence of other racial or religious groups, the reactions were much more extreme than what we’re getting today. . The result? the internment of over 110,000 innocent Japanese Americans. None of us were sent to internment camps after 9/11. Yes some people were rude and aggressive in some cases towards us after the incident, but at least we still got the choice to live where we wanted. The prejudice in some areas does make it impossible to live in them, but technically you still have the choice to live where you want. 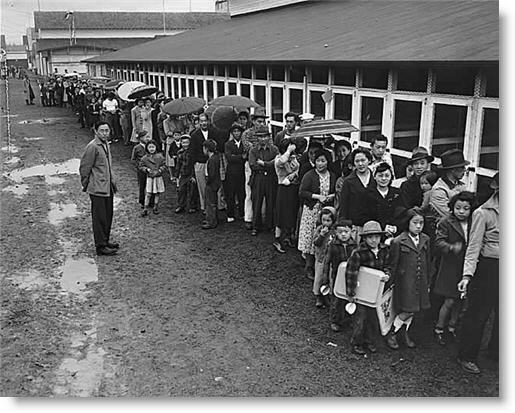 And as bad of a president as Bush was, at least he didn’t send out an order to have all the Saudi Arabians or Muslims to be taken out of their neighborhoods and jobs and schools and sent to some camp to do labor on road crews or beet farms like the Japanese Canadians had to. The result? 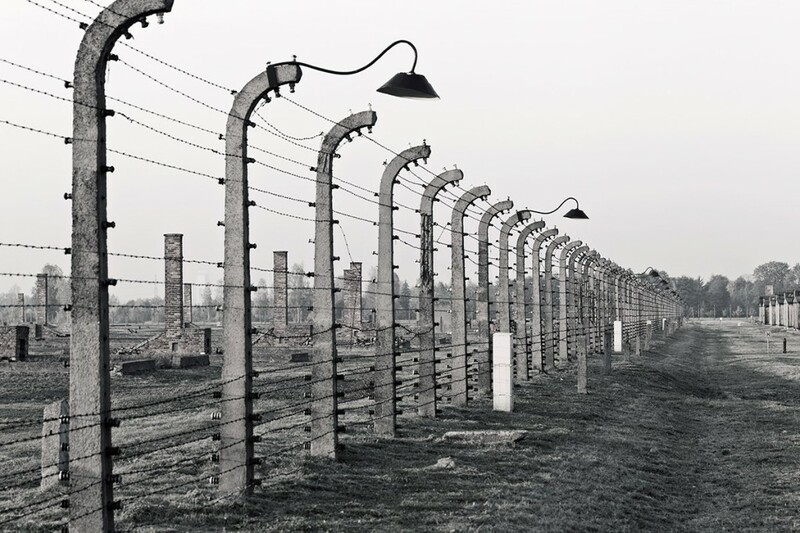 6 million people identified to be Jewish were killed in the Holocaust just because they happened to live in Germany. The other pictures were too gruesome to post so I posted just this one. This wasn’t that long ago guys. Don’t tell me this stuff is old, I had a real holocaust survivor visit my school senior year. A woman who survived the concentration camps, though old and frail, was alive and speaking about the concentration camps that she had to go to, the separation from her family, and her life that she had to build back. This stuff is way too real, if Hitler was reincarnated into the president, and he wanted to purify America from Muslims or arabs, I think there would be enough resentment to support such a cause, however, thankfully, the current world seems to have moved on from such extremely ignorant tendencies, and not only do we get to live outside of concentration camps, but we can also become citizens and enjoy the same liberties that other people in this country enjoy. I was going to include another paragraph about the struggle of Albinos in Sub-Saharan Africa, or one about Native Americans, but decided against it because it’s really sad, honestly. The point I wanted to get across through this article was to show that yes, maybe some people are prejudiced towards you, and they might say some things that get to you, or have loads of misunderstandings about your beliefs and your culture, but in the end, it could be worst. ← Thought for the Day: What if everyone was a perfect Muslim? In the case of the internment camps for the Japs, that was more common sense that was based upon ignorance. By that I mean it was a proper and logical course of action that was based upon the false postulate that the resident Japs were honor-bound to help Japan and the Emperor. As for you Muslims, I’m torn. It’s more than logical for the Civilized World to either round you up into camps or expel you back to the Muslim World, but that’s too problematical to undertake. At a minimum though, we should make it clear that our tolerance doesn’t equate to acceptance or support and doesn’t extend beyond our continued allowing of you to live in our nations and then only so long as you don’t act as a problem. Well for one, weve never regarded the tolerance as acceptance or support, youre not the only person whos made that clear. Secondly, why do you hate muslims? Do you know any? What did they do to you personally to make you say that? Do I know any? I lived in the Muslim World for close to 5 years and discovered that your much of your way of life is abhorrent to me. It was a shock since, before then, I actively liked and even admired much of the Muslim World. As for what your kind did to me personally – you murdered two of friends in the Pentagon attack and, in doing so, harmed my whole town since they were important figures, and destroyed my second neighborhood in NYC’s Financial District. And since then, your kind has engaged in lawfare and paper terrorism against any American who dares to not like you. What do you mean you lived in the “muslim world” theres no such thing, what country did you live in specifically. And as for the pentagon thing, I’m sorry for your loss but you’re not the only one losing people. I am from iraq and my dad’s brother was killed in front of his family because he said something that opposed saddam, their house was burned and they had to leave the country. He lived in several countries, met my mom then had me, we kept moving and seeking refuge in other countries. Eventually in germany we were kept at a refugee camp for a year, which is basically a single room you share with your family, kitchen and bathrooms are all public. After that year we were permitted to reside in the country and moved out of the camp into our own apartment in bonn. Several months after the fall of sadam in 2003, we received a letter on the day of eid telling us that our country is safe now since sadam is gone we need to leave their country within 3 months or they’ll deport us back themselves. We called my grandparents in iraq and they were like you can’t come back, they were trying to find a way to get out themselves. My parents decided to go to england, my dad had a friend there who offered him a decent job, so they sold all our stuff, and handed the apartment over, we get to the airport and find out we can not go to england because a rule had been issued 3 days prior that all iraqis need a visa to go to the uk, so we went back to our empty apartment with our suitcases. Luckily however my dad got a call from a friend in the US who needed him for a news channel job a couple weeks later, so we ended up here. I didn’t kill anybody, my parents didn’t kill anybody, we are practicing muslims who just want to live a normal life. I wrote this post as a way to be optimistic about the discrimination I have to deal with and then I get your comment telling me that you hope that all muslims and get sent to some camps or sent back. And yes it does bug me when you hate my religion for reasons that aren’t attributed to that religion. Your problem is with the arab culture, not with the islamic religion. The people you hate are killers who have nothing to do with islam or religion or piety. I don’t want to get sent to some concentration camp because some idiot out there who calls himself muslim decides to do something wrong. Oh yes! Dar al-Islam sadly exists in all but legal manners. I didn’t live in one physical country withing it, though I was based out of Egypt. I spent time regularly in Muslim nations across MENA, sub-Saharan Africa, and Asia. Many of these places were not Arab – Hell! Not Persian either, yet all the abhorrent behavior was fundamentally the same and it was all done in the name of Islam. And lets never forget that yours is the only cult that riot worldwide over cartoons. As for hate – We hate that which is abhorrent to us and that goes in all directions. The solution is, in my opinion, to separate and not concern ourselves what the other group does amongst itself. It is funny though that we have Iraq in common since one of my family’s friends was married to one of Saddam’s mid-level lieutenants during the rule of al-Bakr and had to flee the country after al-Bakr’s people dropped off his corpse at her door. There’s a saying that says that people see only what they want to see, and in this case I think it goes perfectly to say that this applies to you. I can not help you expand your narrow view, and I don’t think there ever will be a day when you decide to see the other side of things and realize that your view is not accurate. I’ve taken a look at your blog and thru it I saw a person who is opinionated and pessimistic about everything and degrades everyone who is not them or who they don’t agree with. That’s a sad way to live life. You don’t have a proper argument in your last comment, so I’m not going to address anything here, and as for me, the point I’d like to make, is that pessimistic people like you who don’t add anything to society but hate based on a personal experience or two, are the ones who should be rounded up and sent to some camp. Prejudices die hard …whose are Sealed. If our minds are captive to prejudice, preconception, & off course prejudgment then we will never be able to see the truth and beauty of anything.